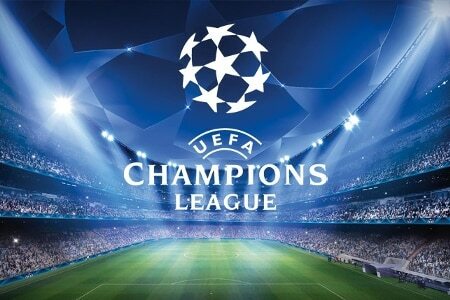 This article features the latest free bets and money back specials for the Champions League. It contains offers available for both new and existing customers, plus competitions you can enter. These free bet welcome offers can all be used for the Champions League. See our homepage for a full list of UK betting sites. Get a 100% matched deposit bonus up to £100 when you visit via My Betting Sites. It’s time for the second legs of the Champions League this week. Two of the three offers are the Man Utd match on Tuesday night. Man Utd need to overturn a one-goal deficit, and in doing so, try and get two away goals. Betfair have an offer for the Tottenham vs Man City match. There, Tottenham will be looking to maintain their one goal advantage and knock Man City out of their first cup competition this season. This will be paid as a free bet, up to £10 per customer. Applies to first goalscorer, last goalscorer, anytime goalscorer, correct score or WhatOddsPaddy markets. Messi had a relatively quiet first leg last week. He is the most likely goal scorer according to betting markets; priced at 1.50 he has an implied probability of 67% of scoring. That is a decent likelihood of payout for this offer from Paddy Power. Place a £5 or higher ‘BetYourWay’ bet and Betway will give you a £5 free bet. The qualifying bet must be at odds 2.00 or greater. Plus receive 50 Bonus Spins on Final Furlong. Place £10 on this match on the exchange at odds of at least 2.00 and Betfair will reward you with a £5 Sportsbook Acca. The sportsbook Free Bet will be equal to half your stake (up to £5) and can only be used on football accumulators. Cash out on a Champions League match taking place tonight, and if you do so for a profit, then Paddy Power will award you a 100% bonus paid as a free bet. There is a maximum of £10. Get double winnings on first goalscorer and correct score bets, when a penalty is scored at any time. You must opt-in to receive this offer. Available for all Premier League matches, and select matches broadcasted live in the UK. Additional winnings are paid as a free bet, up to £500 per customer. For all Champions League games, Paddy Power will pay you as a winner straight away if your team goes 2 goals up at any stage during a game. There is just one Champions League offer available this stage in the competition, as MansionBet are no longer doing theirs. Correctly predict the scores of four Champions League fixtures, and you can win a share of £50k. For more information, see our loyalty bonus article which goes into more detail about Unibet’s competition, and others. 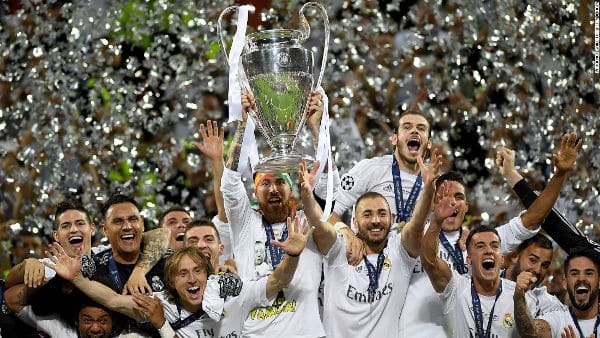 Despite Real Madrid winning the Champions League the past three years, they are not favourites to do so this year. Bookmakers think Man City are the most likely to win their first Champions League trophy, at odds of 5.50. They’re by far the most favoured English team to win it. Closest is Liverpool at odds of 13.00. Manchester United have not performed well in this competition for some time now, and this is reflected in their odds. They’re priced at a massive 29.00 to win. Bookmakers think this is very unlikely. Odds are supplied by bet365, are accurate at the time of publishing and are subject to change. BT Sports hold broadcasting rights in the UK. However, as part of the deal, BT Sport will make the final available free to watch, including on the BT Sports website, and via their app.